Just weeks from the date that the EU and UK’s divorce is due to take place, the position of UK travellers to the EU remains foggy. The clock is ticking and Prime Minister May is still caught between the EU and her own government, struggling to reach an agreement that will please both. Since the referendum took place on 23 June 2016, when a majority of voters opted to leave the EU, all types of scenarios on how this divorce will turn out have been scrutinised to the last detail. However, things are still uncertain. The future of British nationals heading to the EU, including workers, students and others, is unknown. Nobody knows for sure what Brexit will bring for businesses, holidaymakers to Europe, aviation, the pound and much more — at least not until a deal is or isn’t reached. Right now, there are no passport requirements for British nationals travelling to the EU other than simply having a passport. Upon Brexit, that will change. Travellers will be required to be in possession of passports valid for at least three more months, and issued within the last ten years, on the date they intend to exit the EU. If they are subject to the visa regime, a minimum of two blank pages in their passport will also be required. This is why the UK government has taken measures to inform its citizens that they should check their passports before travelling to any of the states in the Schengen area (the travel area that covers most European countries) after 29 March 2019. Short-stay trips to the EU: visas or ETIAS? Whether British citizens traveling to the EU will need visas or not in the future is an issue that has been tormenting many. Holidaymakers, backpackers and in particular visitors that have family members living in the EU countries, are deeply concerned about the issue. After much speculation, EU ambassadors finally agreed to grant UK citizens with the right to enter the EU countries without a visa for short-term stays, on 1 February. There is still one condition: the UK must reciprocate and not require EU visitors to the UK to obtain visas! If the UK does not reciprocate in a way that the EU considers adequate, UK nationals would have to apply for what is called a Schengen visa. The Schengen visa application process has often been described as energy-draining, time-consuming and costly by third-country nationals. Imagine how burdensome it will be for British citizens who have never had to go through such procedures when visiting the EU. Moreover, the maximum of time one can spend in the EU with such a visa is 90 days within a six-month period. Each individual EU country has its own rules on visas for long-term work or study (see below). However, even if Britons do not need a visa for short-term stays, they will still have to apply for an “ETIAS” once that system is set up. 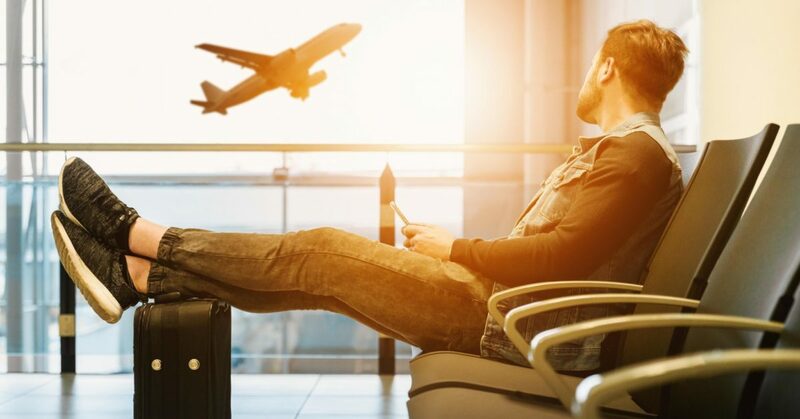 The European Travel Information and Authorisation System is due to come into force from 2021. This is not a visa as such, but does require those intending to enter the Schengen area to register in advance and pay a fee of €7. In fact, the sole difference between visa-free access to Europe and a visa regime, is that for the former travellers do not need to apply for any documents to enter the EU (for now, since later an ETIAS will be mandatory), while for the latter a Schengen Visa is compulsory. But whether on a short-term visa or under visa-free access, one can enter the area and remain there for a maximum of 90 days within a period of 180 days. As for the purposes of entry, both visa-free travellers and those in need of a visa can enter the area for a number of specific reasons. This includes holiday-making, visiting family/friends, medical treatment, study purposes, training, business, official visits and other activities that do not last more than 90 days and are not classified as employment. The scope of activities one can perform in Europe during short-term visits, with or without a visa, are defined by the Schengen rules. Businesspersons traveling to Europe under the visa-free regime are permitted to participate in meetings, seminars, trade fairs, workshops, business conferences, etc. Employers of companies in the UK can also travel to the EU for short-term visits to attend or to be actively involved in one of the activities mentioned above. If the EU were to impose visas, even if only for short stays, UK business visitors would be among the most affected. The limited period of stay (in many cases as short as five days), the restricted scope of permitted activities, and in particular the frequent need to apply for a visa will cause many British business travellers considerable trouble. A business short-stay visa does not permit one to remain in the Schengen area for more than three months, to establish a business, trade or profession, to make business deals, to recruit, to train or carry out other work-related activities. A visa application form, fully completed and signed. Two recently taken photos, complying with the Schengen visa photo requirements. UK citizens wishing to work in the EU post-Brexit will need to apply for a national work visa from the country where they intend to work. Each EU country has its own differently organised national visa system. The specifics of a work visa differ from one country to another, though they have several similarities. Usually, the EU countries offer long-stay visas with one-year validity, which often are renewable or extendable. They often lead to settlement on the basis of five or ten years’ long residency. Those wishing to get a job for only one or two months need to get a long-stay work visa as well, since employment is not permitted under a Schengen visa, or visa-free regime. As for UK nationals planning to do an internship, training or work placement in the EU, the length of their stay will be decisive if they need to apply for a visa or not. If their stay is shorter than 90 days, they will be permitted to enter visa-free. A work authorisation may still be required. On the other hand, if their stay exceeds the period of three months, then a long-stay visa will be compulsory. The process to obtain a working visa for an EU country will involve various procedures and requirements, often including the requirement to find a job before applying. The application process, which varies from one country to another, includes paying the visa fee and waiting for the processing of the application, which in some cases can take quite a long time. The long-stay visa requirement will also apply to those wishing to study in the EU or join a family member in any of the member states. The only way for Britons to elude the long-stay visa requirement is a Brexit agreement that grants them with the right of staying and working in the EU without visas. Shkurta Januzi is the editor of SchengenVisaInfo.com.